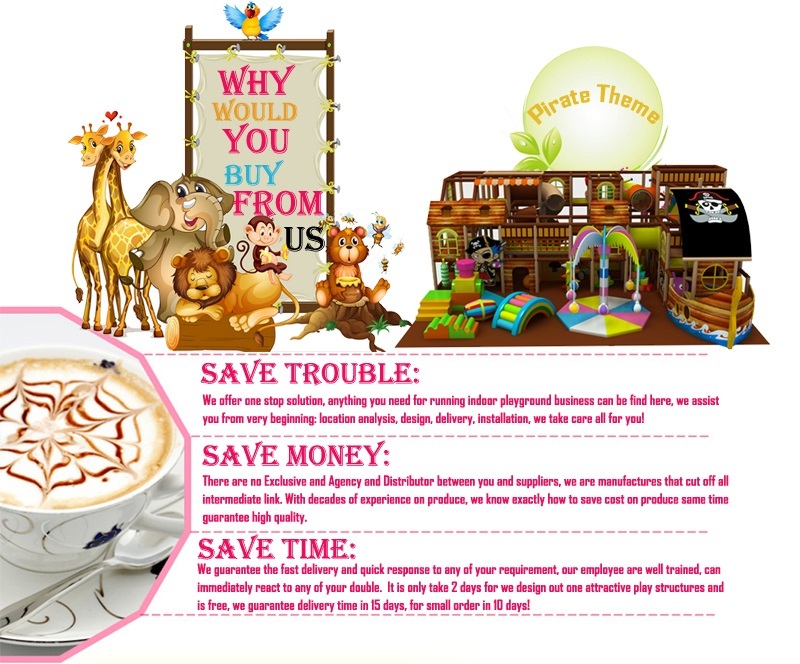 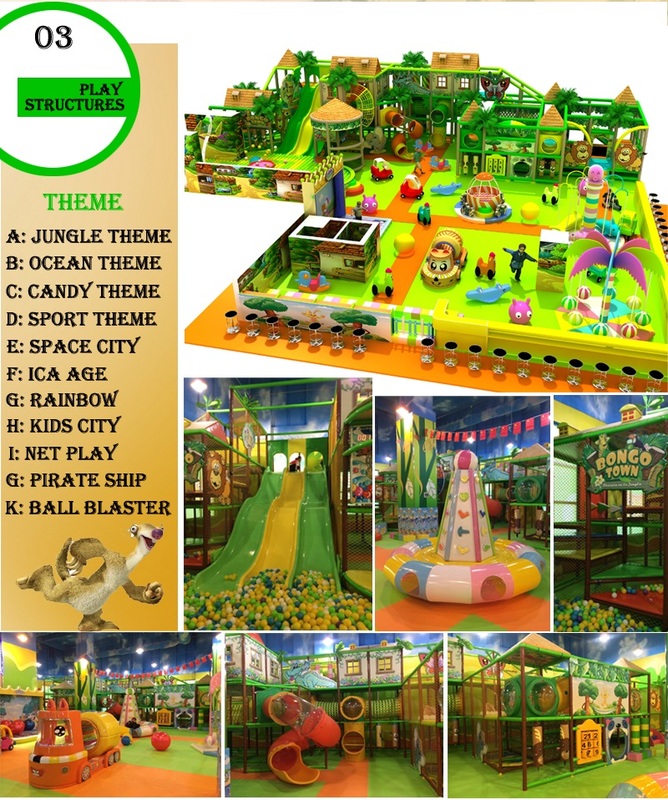 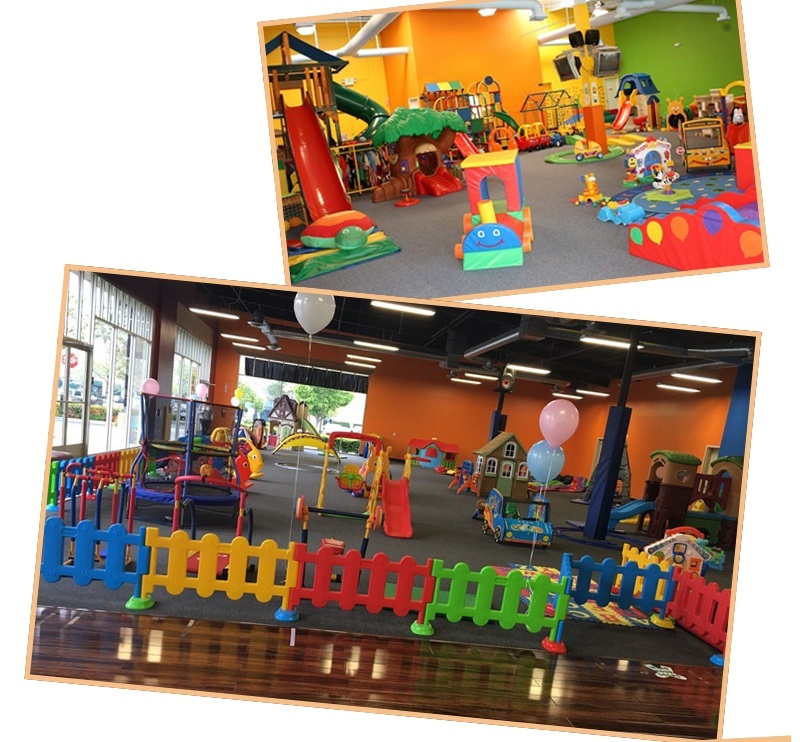 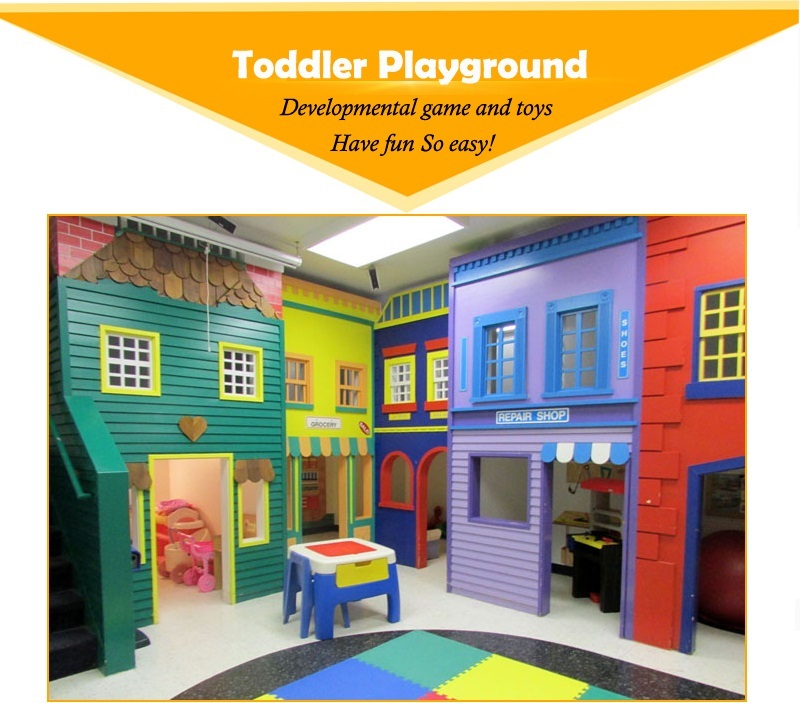 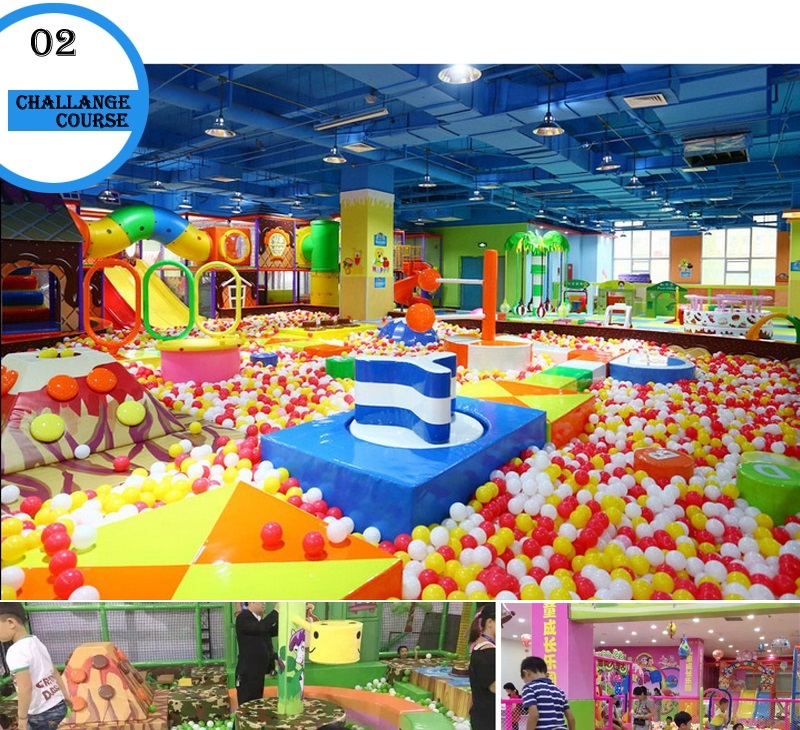 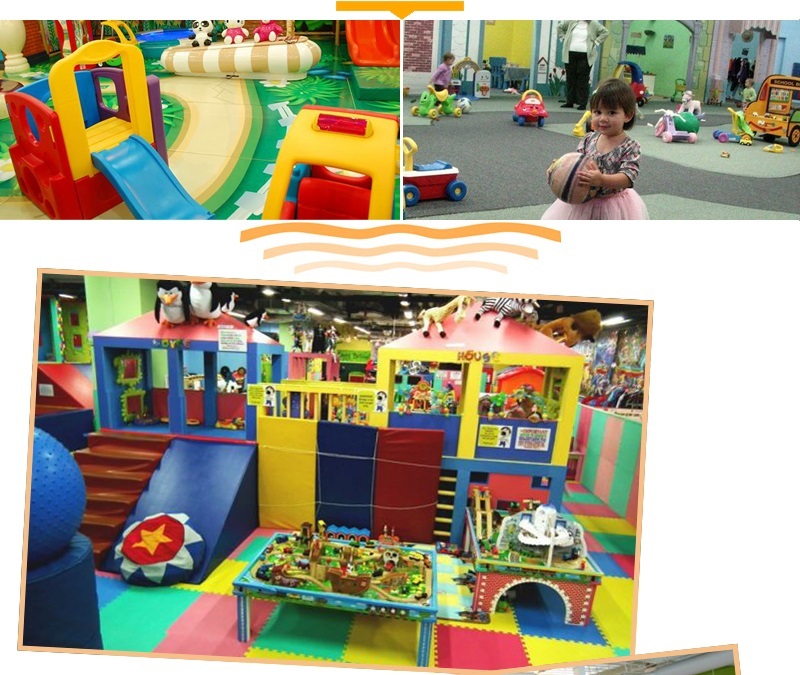 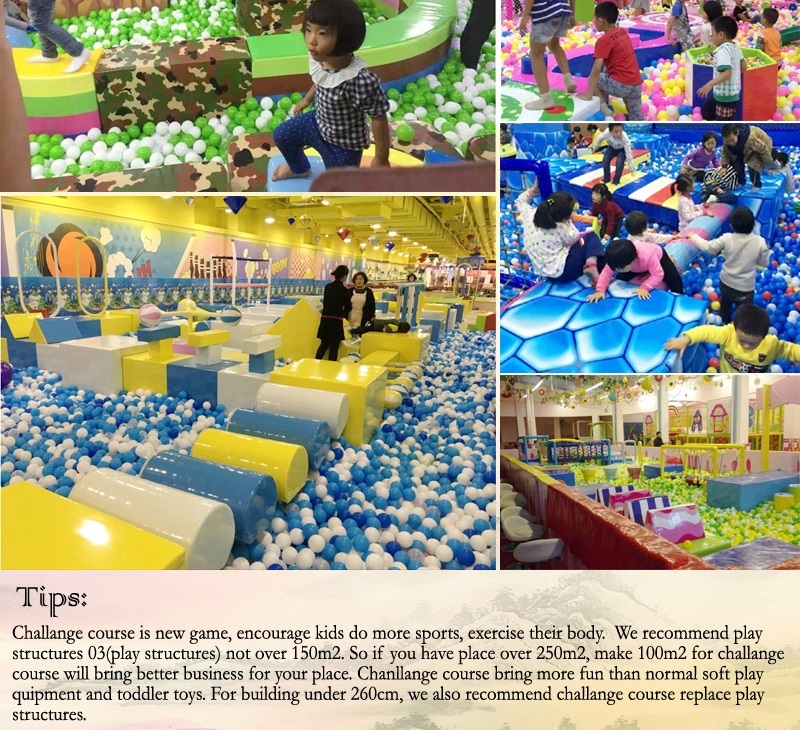 This four level indoor play centre in jungle theme. 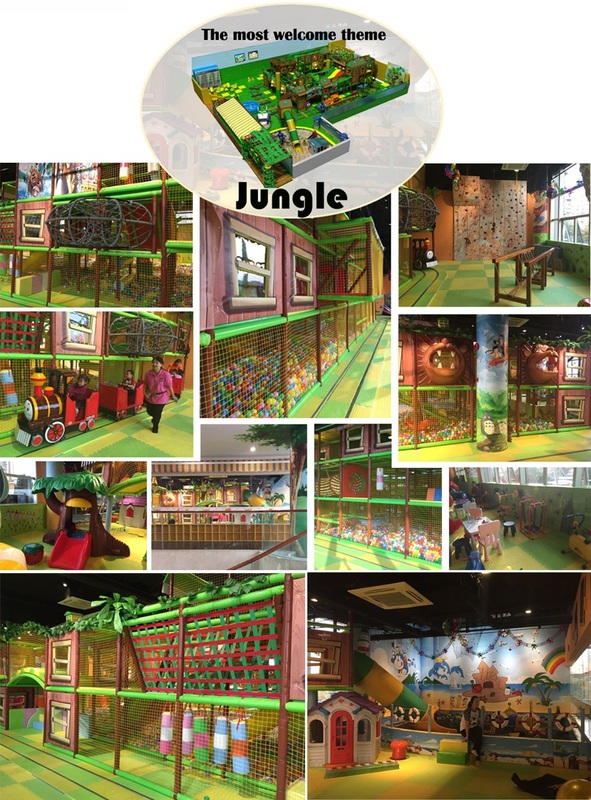 This design use lot of plastic tunnel on each level, Make kids feeling walk in a jungle! 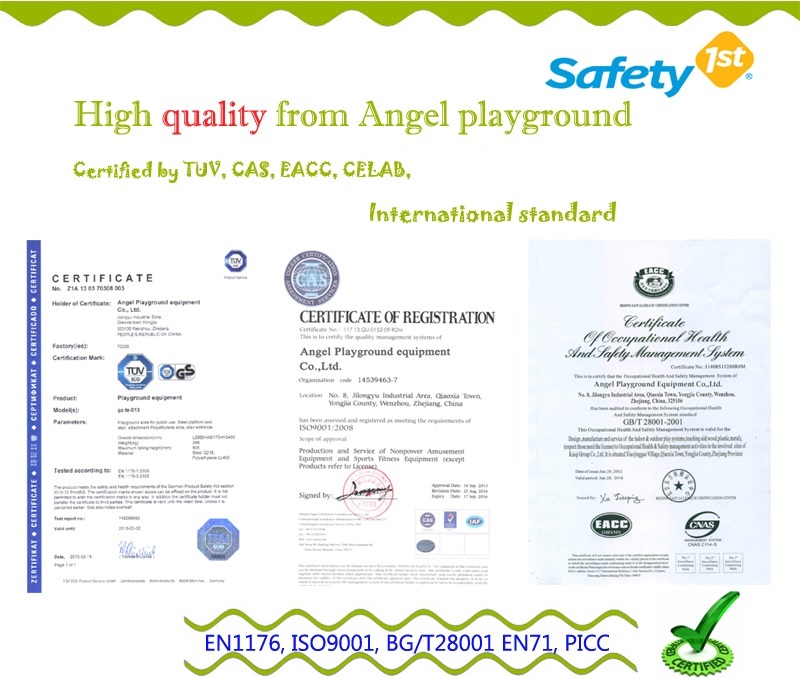 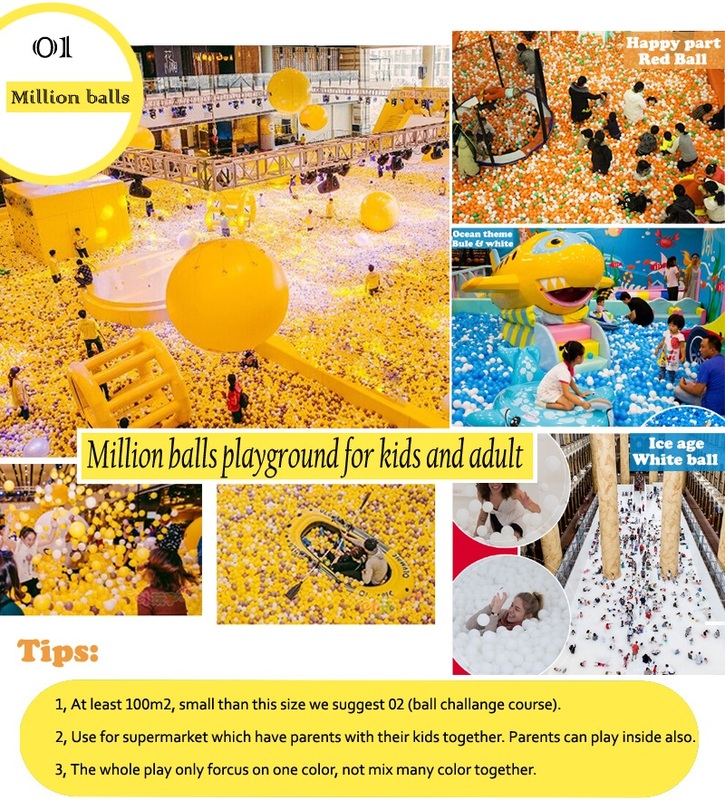 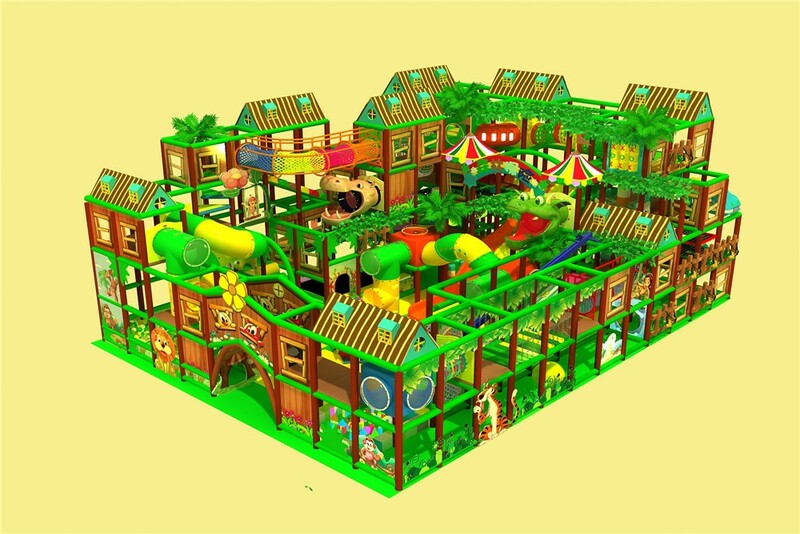 The first level have small toys for kids to play, the second level focus on net tunnel, and the third level focus on slide, on level four have huge wave slide and spiral slide directly to ground floor. 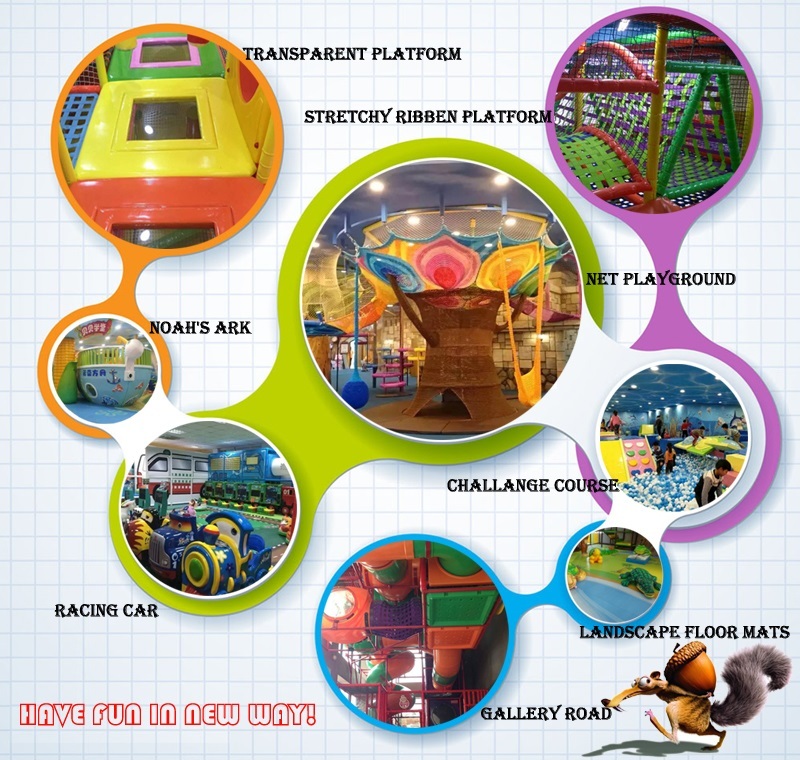 Have transparent glass on the plastic station for observe from inside and much more.